I've done some reading on what the best way to undercoat is and I'm seeing a lot of conflicting information, so I thought I would ask you guys. I'm getting the underside of my car sand blasted to bare metal. It has the potential to be a daily driver. I would like to use undercoat (sounds like 2 part is the best) to cover up my ugly welds and rough seam sealer edges as well as provide some sound damping. What goes under and/or over the undercoat is what I'm getting conflicting info on. Do I first shoot epoxy primer, base, then undercoat? Epoxy, undercoat, base? Do I have to scuff any of the paint before applying others or should I shoot while it's wet? What brands do you recommend? We just undercoated a 57 T Bird that we have on a rotisserie and we did it a little differently. We epoxy primed then used a moisture cured sprayable seam sealer for the undercoat. The seam sealer bonds VERY WELL and remains flexible so that it won't crack as it ages and can be applied heavily for great sound absorption. 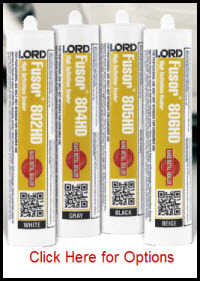 I'm not familiar with all type of undercoat and there may be some that are better but this sealer did a really good job but it took about a dozen tubes to do the job properly and a special gun is needed to do the job so it was quite expensive. when ive done it i did epoxy then undercoat. seems spraying base then covering it with undercoating would be a waste of money and product. Thanks for the replies. How often do you see undercoating/bedliner or sprayable seam sealer detach from the underside and get water underneath? I know this is a concern that leads some people away from those products. I think the idea of spraying epoxy primer, urethane (i previously said base, but I guess urethane primer would work? ), then the undercoat is to protect the epoxy primer from moisture if the undercoating detaches. Thoughts on this? I always apply a barrier coat before the undercoat. I normally use black Zero Rust, allow it to dry then scuff it and apply the sprayable seam sealer. The only time I've seen an undercoat lift off the surface is when it's a solvent based product that dries and cracks then moisture get behind it and causes it to lift. Urethane primer is used as a filler and most are not designed to be used over bare metal. Also, the primer you have is probably still good but the hardener may be bad depending on how old it is and how it was stored. I'd recommend getting some new epoxy primer and activator for this job if you want to make sure it's going to stick. You should be able to just use a quart for the underside of a car, I'd recommend using black primer. Thanks for the reply. Okay I'll hold on to my old epoxy primer and 2k high build urethane. I also have some relatively new Transtar 7344 DTM primer. Would that work for the DTM application and then shoot a 2 part bed liner? It's interesting that Transtar claims you can vary the reduction level of 7344 to be a regular primer or sealer. How does varying the reduction ratio affect the functionality of the paint? More reduction results in a less permeable coat? Over reducing effects different products differently. In most cases you can add ten to twenty percent more reducer without causing problems but I wouldn't get carried away. Just cover the metal with a decent DTM primer then allow it to flash for an hour or two then apply your undercoat. Mixing in too much reducer can introduce variables that could work against you. 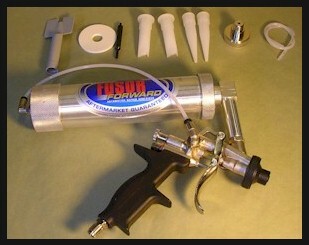 transtar 7344 is not an epoxy, its a dtm urethane primer. if you want to use transtar, you should be looking at 6134 or similar. this uses 6144 activator, and for use as a sealer,(which is how i'd approach this) thin it with good quality reducer. even with 10% reduction, this epoxy has good coverage.